Based on new Australian research, Fed Up is Sue Dengate's comprehensive analysis of the effects of foods on children's behaviour, learning ability and health. This book is a guide for pressured parents and a revelation for puzzled teachers. Fed Up helps parents to manage their children's behaviour and learning problems without medication using remarkable new findings from Australian research into food intolerance. A best-seller in Australia and now extensively revised, it details a form of dietary management based on new Australian research, which is largely unknown in the USA. This is a book which transforms families, see readers' stories. In this fully updated and revised edition (2008) of Fed Up, Sue Dengate provides up-to-the minute information about the science of food intolerance and elimination diets, shares inspiring stories of families overcoming their problems, and provides detailed help and support for parents wanting to find out exactly which food chemicals are affecting their children...see the book introduction below and check out the extensive support (facebook and free newsletters) at www.fedup.com.au. 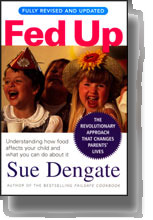 Fed Up is Sue Dengate's meticulously researched response to the wide-ranging problem of food intolerance and how it affects people, from learning difficulties to behavioural problems to minor chronic illness. This handbook is an essential tool for child-rearing and an indispensable guide for adults. You can now buy Sue Dengate's books and DVD online here. Fed Up is $A26.50 including GST, post & packing (RRP $24.95). 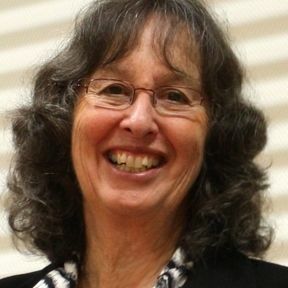 Sue Dengate's books are usually available from all bookstores in Australia and New Zealand and online for both local and overseas purchasers. When two committed adults marry, they reasonably expect to have happy and successful children. My husband and I were therefore surprised when our children encountered difficulties right from the start. Both struggled to learn skills we had found easy, and by the time our daughter was seven we were especially perplexed by her behaviour, which was sometimes charming and creative, at other times restless and defiant. We were assured by their teachers that they would 'grow out of it', but they didn't. After years of searching, we discovered a remarkable reason for their difficulties. Most of their troubles were caused by the foods they ate every day. All six members of our family experienced unexpected improvements in mood or health when we changed what we ate, based on new research. Behaviour, mood swings, intelligence and health improved. In the most dramatic case, our daughter's defiant behaviour vanished and her school marks, like her measured IQ, jumped from average to well above. 'Kids have changed,' says one primary-school principal with 34 years of teaching experience. 'You see them arriving at school angry or unhappy. They stay like that all day. I used to think it was television, or a problem with the parents. But you have to look at food. They come to school eating junk, and when you ask, "Why are you eating that?" they answer, "It's my breakfast".' In a society where rages and depression are on the increase it is worth taking seriously this observation about angry and unhappy children. Foods can explain the irritable, restless or inattentive behaviours in much greater numbers of children than those with attention deficit hyperactivity disorders (ADHD). When an entire class of six-year-olds avoided additives for two weeks, nearly 60 per cent of their parents reported improvements in behaviour, cooperation and sleeping. I am disappointed that most health and teaching professionals dismiss the role of food in disruptive behaviours, especially since studies have been unable to demonstrate long-term benefits of medication. By comparison, families using dietary management in the long term report significant changes. Possibly the most important improvement is selfcontrol, which is thought to be the single biggest predictor of success in adult life. The diet that turned out to be such a miracle for us is the Elimination Diet developed by doctors Swain, Soutter and Loblay at the Royal Prince Alfred Hospital Allergy Unit in Sydney, Australia. This book is intended as a support for families on the RPAH diet, as well as an introduction for families who don't want to do an elimination diet but would like to reduce their intake of food additives and troublesome natural food chemicals. I cut back my five-year-old daughter's intake of fruit to about 1⁄4 of what she normally had. Within days we saw dramatic changes. Her behaviour evened out . . . she was more sensible and obliging, less aggressive and defiant – altogether much more pleasant to live with. • haven't realised there is a behaviour problem. People have to be desperate before they will change their lifestyle, and difficult children make parents desperate. This book is full of their stories. Parents were also surprised to find it's not the sugar in the lollies and soft drinks that cause the problems, but the additives. Most health professionals tell us that only a small subgroup of children is affected by foods, but I do not agree. In theory, anyone can react to food chemicals if the dose is high enough, and because of the over-consumption of processed foods, these doses are increasing every year. People assume that they will know if they react to foods because they will see an immediate reaction. This is wrong. Most food reactions are delayed. They are not a quick allergic response, but are actually the side effects of food chemicals. Everyone knows that drugs can have side effects, but few people are aware that both artificial and natural chemicals in foods can cause the same sort of reactions. And, like the side effects of drugs, the side effects of food chemicals are often misinterpreted. Food scientists estimate that it takes 30 years to notice the effects of a national change in diet. There have been enormous changes in Australia in the last 30 years and these changes are continuing ever more rapidly due to globalisation. Today, party foods have become everyday foods and additives that did not even exist thirty years ago are eaten frequently. The use of additives has crept up on us. In 2007, a British survey found that people consumed up to 50 additives per day but underestimated their additive intake. The average was 20 additives per day overall and 19 additives per day for people who ate home-cooked foods. Whereas people living in subsistence villages don't eat any additives. Children and adults are affected in varying degrees by the changes in our diet, but these effects are mostly unrecognised or ignored. Hyperactive children are just the tip of the iceberg. Irritability has increased in our society as a whole. Considering irritability and restlessness have been found to be the main behavioural effects of foods, it seems likely that far more people are affected by these major changes in diet than is recognised. Since the 1960s, humans have been exposed to unprecedented quantities of industrial and agricultural chemicals that can provoke sensitivity to food chemicals. It is even possible that behavioural changes and learning disabilities due to chemical exposure can be passed on to the next generation. Changes in behaviour and learning ability are the early signs of chemical toxicity (see Notes), yet food chemicals are not tested for their effects on children's behaviour or learning before approval. In fact, although it is hard to believe, such chemicals are not systematically tested for their effects on children at all before approval. To protect our children and ourselves, and to prevent a national decline in behaviour and learning standards, it makes sense to avoid the chemicals that are affecting us. Irritable, restless or inattentive behaviour, sleep disturbance, anxiety, depression, eczema, other itchy skin rashes, migraines, recurrent headaches, stomach discomfort, bloating, diarrhoea, reflux, colic, urinary urgency and asthma are some of the symptoms that can be caused or aggravated by common foods. If you have any of the above problems or if you have ever seen, even once, a reaction to foods such as cordial, cola, alcoholic drinks, chocolate, savoury snack foods or takeaways, then it is worth taking food chemicals seriously. Many people who are affected have never noticed a food reaction. To find out how foods affect people, why food reactions are so difficult to identify, which foods are likely to cause problems, and how to manage the side effects of foods, please read on . . Thank you so much for making this book available in eBook format, specifically Kindle format. I already have the paperback version, but having it on my Kindle means I can carry it with me at all times for quick reference while I'm out – I can already see me using it while shopping, to double check ingredients for recipes, and to wave underneath the noses of friends. I absolutely LOVE the format, in particular that there is the (click here) option to find out more information on particular items, or to find the source reference article. I'm already going through, and highlighting specific areas that describe my sons, and their reactions to different foods that I want to discuss with our GP next week – it's going to be so much easier to take my Kindle along and read out the "my clippings" notes, rather than juggle the two different books and highlighted pages that I want to discuss. Whilst eBooks will not replace the good old hold in your hand paper, I love having access to both formats, I've got the best of both worlds, the paperback to leave sitting on the kitchen bench for constant reference, and the version on the Kindle, so I have it with me all the time, making it easier for me to continue spreading the FedUp message – Maria by email.